This introductory quote reflects a young jazz singer, whose discipline in learning her craft embodies the order necessary to become a songstress. Coupled with the good manners to respect the historical legacy of America’s classical music - jazz. To hear her voice, is to hear a young woman’s journey into the past - and her present - of jazz vocalists, whose voices embodied the order and good manners of respecting the vocabulary of the song, as well as the interpretation of song. Thus, it is with Jazz Horn, a singer who approaches a song with moral and reasonable certitude which lies within her voice. All About Jazz musician pages are maintained by musicians, publicists and trusted members like you. Interested? 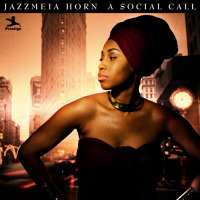 Tell us why you would like to improve the Jazzmeia Horn musician page.